Pennsylvania Department of Corrections is responsible for supervising the operations of 24 correctional institutions, 14 community corrections centers, 1 motivational boot camp, 40 contract facilities and 1 training academy. It employs approximately 15,000 personnel responsible for more than 50,000 inmates. You can apply online at the Pennsylvania state website or send a paper application to the State Civil Service Commission. When you submit your application, you will get a notification that your application has been received. Once you receive this notification, you will need to schedule a test date, location and time; all the information about test slots and locations is available online on the state website. Test centers are located at Pittsburg, Philadelphia, Harrisburg, Lock Haven, Scranton, Erie and Johnstown. In case, the examination has to be administered at a different facility, information regarding the new location will be provided to you in the ‘Examination Information’ section on the website. For any queries regarding your application, you can contact (717) 787-7811 to reach the Commission’s Information Services Unit. The testing centers also give an option of walk in testing, but this is done on a first come, first served basis. In case a candidate who has scheduled for the test is unable to come, that seat is given to someone else. Thus, walk-in testing is based on ‘available seating.’ It is advised that you pre-book your test date and time instead of relying on walk-in testing. An examination is required to test the following abilities: written expression, observation, problem solving and judgment. This exam consists of computerized multiple choice questions that you will need to answer in three hours. You will receive your test scores through email within fifteen days from your examination date. If you are unable to get the satisfactory score, you can re-appear for the test twelve months after the date of your last exam. If you successfully pass the exam, you will move on to the screening stage. This screening process will include a drug test, background investigation, psychological evaluation, physical ability test and a medical evaluation. If you pass the screening process, you will be admitted to the Pennsylvania Department of Corrections Training Academy in Elizabethtown. The training program will be around 5 weeks long. After completing the training academy, you will be closely monitored on the job for a year while you undergo additional training and instruction. The correctional officer recruits are employed as trainees in their first year of employment. After completing one year probationary period, they become full time employees. During your training period, you will attend workshops and classes and will be given on the job training by veterans. As a trainee, you will participate in on the job assignments and formal training sessions to develop the necessary skills required for this position. 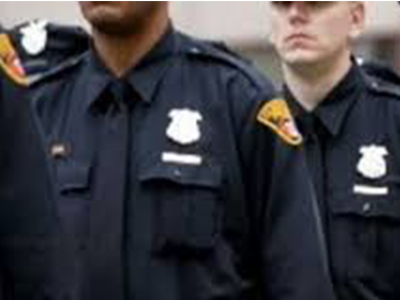 You will receive instruction on self-defense, operating firearms, sociology, human behavior, law, crisis prevention and intervention, defusing dangerous events, conducting video surveillance and performing inmate searches. As part of your training, you will be assigned to different locations and shifts. You will be posted at different locations within the detention center in order to gain an understanding of the operations of that detention facility. Initial work tasks will be performed under the supervision of a corrections officer. Your work will be reviewed by senior correctional officers through reports, inspections and direct observation. The following salary data of correctional officers and jailers have been taken from the US Bureau of Labor Statistics and represent salary statistics as of May 2017. The data shows that the annual mean wage and the hourly mean wage of correctional officers in Pennsylvania is higher than the national average. Thus, a career in the Pennsylvania Department of Corrections offers rewarding career opportunities. This profession is reserved for those who have a degree of physical strength, good moral character, excellent judgment and sharp critical thinking skills. If you think you meet these requirements and would not mind working under dangerous or stressful conditions, this job may be the ideal one for you.